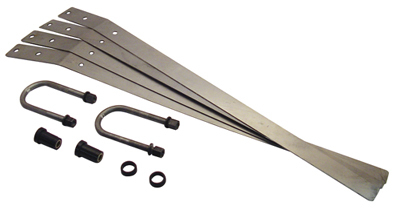 Includes two pairs of lazer cut upper and lower reinforcement plates, POLYPLUS bushings, U-bolts and mounting hardware. Upgrade and rebuild at the same time. Gives you a much stronger rear suspension for your truck.